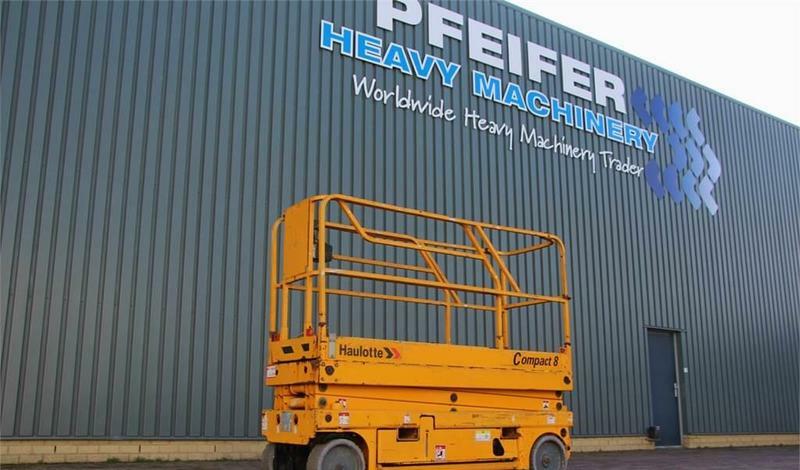 The list of HAULOTTE Compact 8 scissor lift offered for sale in our catalog is constantly increased. Wheel formula and suspension type: front tires: 50 %, rear tires: 50 %. The lifting capacity is 350 kg.